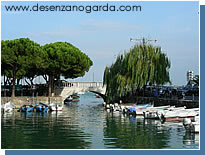 Desenzano is one of the bigger towns on the wider southern shore of Lake Garda, with over 20,000 inhabitants. 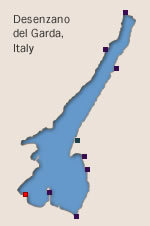 It is situated in the southwestern corner of the lake not far from Sirmione and at the start of the road which heads up the western side of the lake. As such it is one of the more popular resorts for visitors from the big cities like Milan and Turin in the northwestern part of Italy. We hope you find the DesenzanoGarda website useful and look forward to hearing your comments about the site and the town. We especially welcome any views about the resort from those who have stayed there.